The morning at the Provincial Albergue was the same as at the others – an early rise and we had to leave by 8am so that the volunteers could clean the dormitory in preparation for the arrival of today’s pilgrims. Except one thing was different. This was my last day in an albergue for the time being. 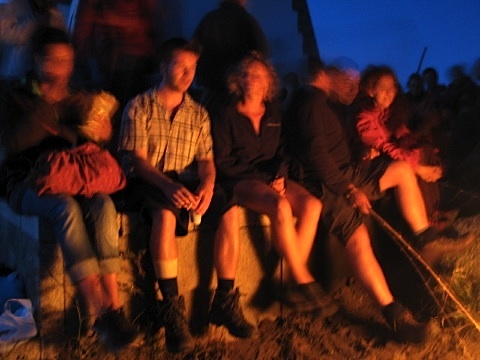 After last night’s celebration of the completion of the journey to Cape Finisterre, it was a little sad. The daily ritual of walking, eating and sleeping had come to an end. After so many days the pleasant routine would be broken. I reflected on the distance I had walk. Recounting again the huge distance of about 1600km since Le Puy-en-Velay, the thought of the number of steps taken crossed my mind. Just before Uhart Mixe in France, I had counted the steps taken to a road junction from its signs. There were 1250 steps per kilometre so according to my calculations I had taken 2 million steps since Le Puy! I was amused how this bit of multiplication came to a neat round number! 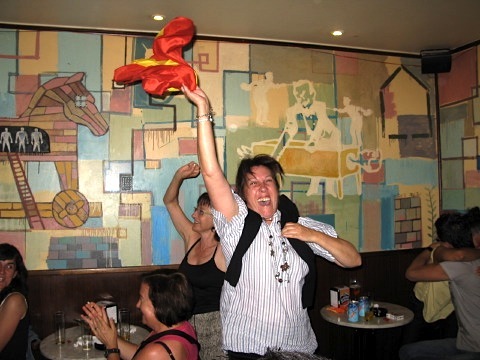 There was deep tiredness and elation mixed with sadness at completing the Camino. The overwhelming feeling of ‘what now?’ filled my mind. I preferred the journey, not the destination. An dormitory cleaner shouting for me to be out by 8am woke me from my reflections. 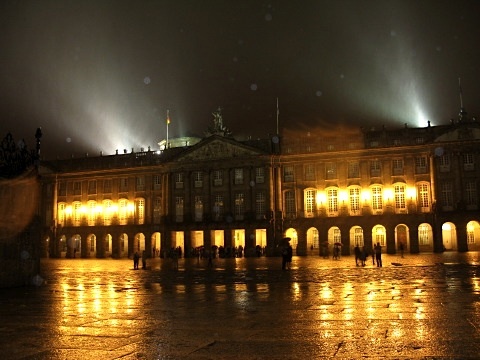 Finally packing up, it was time to return to Santiago de Compostela. The previous night I had found the bus times and there was still fifteen minutes until the next bus left. The bus stop was crowded with walkers for the return journey so it was back to a harbour side cafe to wait for a couple of hours until the next, hopefully less busy bus. I would get to the bus stop earlier to make sure of a seat. Ray, Alex, Kar O Lin, Ruth, Moritz, Arthuro and many others arrived at the cafe. We sat in the early morning sun chatting over endless coffees. 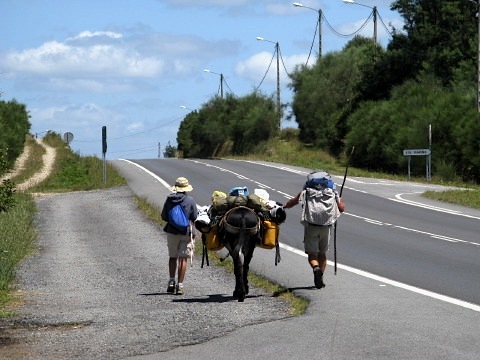 Some were intent on continuing to walk South to Portugal. Ray just wanted to get as far as he could before he had to return to Britain. I was a bit jealous that they could continue the journey, to continue the simple daily routine of eating, walking, eating and sleeping. 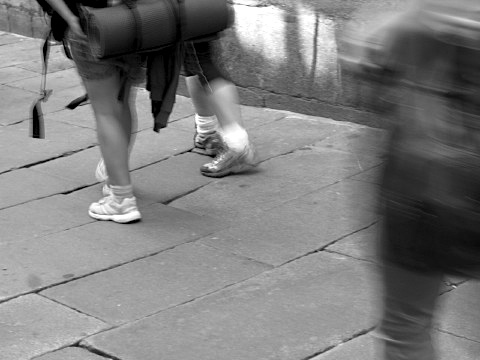 It was addictive in its simplicity – I vowed to do another long distance walk again one day. I said my goodbyes as the bus time approached. It was sad to say goodbye after knowing them all for so many weeks – familiar faces in an unfamiliar land. We would all keep in touch. At the bus stop, I was surprised to see Bernard. 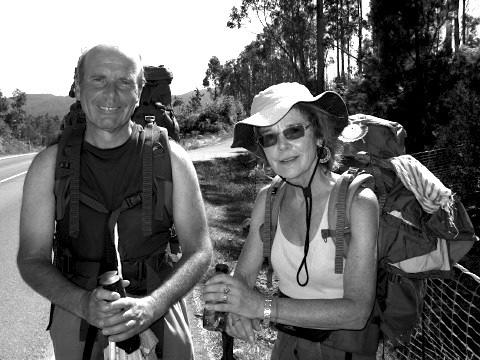 He had set off with Deirdré the day before to walk back to Santiago de Compostela. 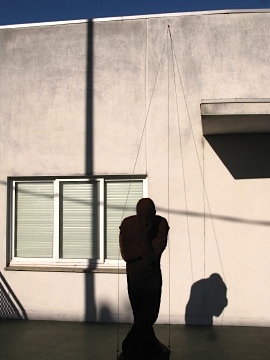 They had got to the climb out of Ceé when Bernard had suddenly decided that he did not want to walk any more. 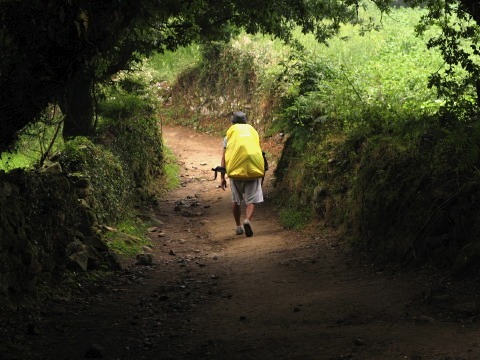 He walked back to Finisterre. A whole day walking to end up at the same place! Somehow I could understand his change of heart. He would be taking the same bus back to Santiago de Compostela. 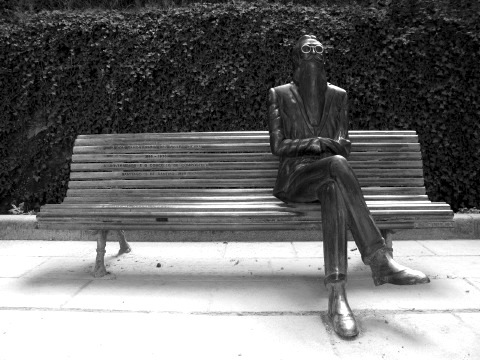 He was chatting and I needed silence. I was sad and sat in another area of the top deck of the bus. Nothing against Bernard – what was needed was just to sit quietly staring out of the window as the bus crawled along the coast of Galicia. Time to reflect on the last ten weeks, time to come to terms with the change, the transition back to daily life. It would not be easy. As the bus left and the magical coastline unfolded. There were sparkling waters and azure seas. Small villages glistened with white-washed walls. People paddled on the sand flats digging for worms. Others clambered over the sharp rocks to collect molluscs. In the towns that slipped by the cafes and restaurants were filled with holidaymakers as well as locals. The sun was strong and if the windows had not been tinted, the eyes may have been damaged! The bus trundled along at a reassuring speed. It wound round bays and estuaries clinging to the small road. A feeling of safety and stability yet at the speed of the modern world. After walking for so long the bus seemed to be going very fast. It wasn’t. It had been so long since taking a bus that it was a strange novelty. I dozed on an off with the air suspension of the bus as my mattress. 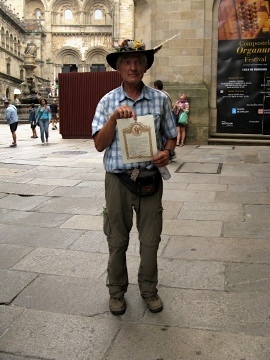 Two hours later in Santiago de Compostela I spoke to Bernard and wished him well for his next walk. 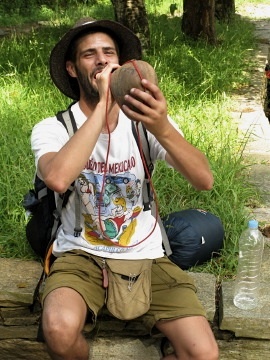 He was planning to do the Camino del Norte later in the year. Returning to the room in Esvina’s home, I was welcomed with open arms. Dinner would be at 7pm. 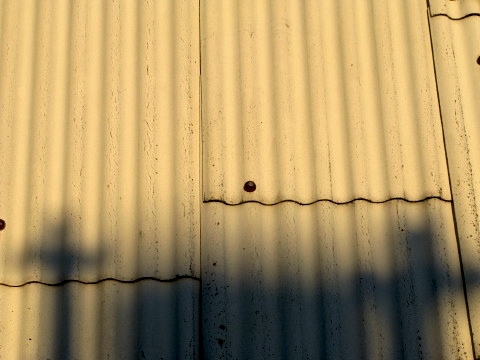 I slept for a while then wandered around town in the late afternoon. At the Cathedral the queue for the Tomb of Saint James was short. Before long I completed the circuit through the Cathedral. 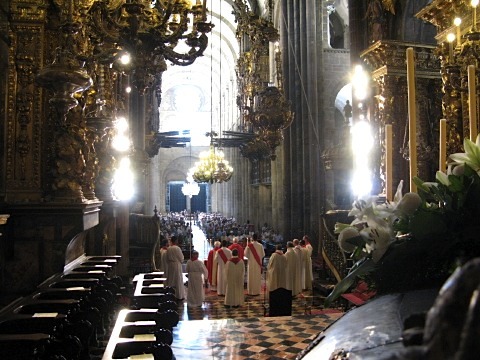 Climbing down into the Sepulcrum, then up to traditionally embrace the statue of Saint James. It was a moving moment. Dinner later in the evening was delicious. There was Esvina and two other lodgers around the table (both students at the University of Santiago de Compostela). 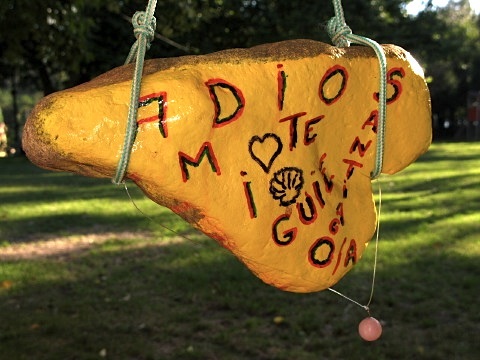 My Spanish had improved over the last four weeks but was far from perfect. Still conversation and mutual understanding prevailed and it was a pleasant night. Next day the flight was at 11.35am and after a good breakfast and warm goodbyes it was time to walk the ten minutes back to the bus station to take the bus to the airport a few kilometres out of town. As the aircraft took off, I could clearly see along the North Coast of Spain towards the Picos de Europa mountains. Somewhere just to the South of those mountains was a short marked path called the ‘Camino de Santiago de Compostela’ or ‘The Way of Saint James’. 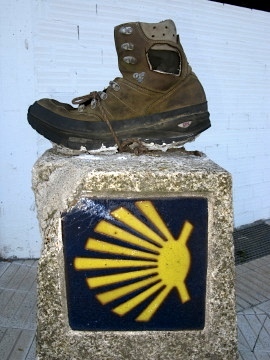 The Camino would continue for a long time after I got off that plane. The pilgrimage would never be over. The Camino stays in your life whatever happens. It is forever guiding you. Everyone was feeling a bit slow in the morning after last night’s free flowing wine and excellent food. I woke with the outside of the bivi bag saturated with condensation from the cold overnight air. It had been a good fitful sleep all the same. 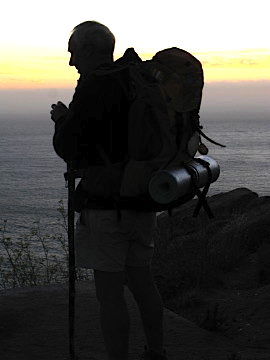 I packed up again – the routine of packing up was well versed after so many days walking. With some strong coffee from the owner of the albergue, we all sat round a table in the bright morning sun. No one was keen to start walking. There were questions from the albergue owner about a tent that had a appeared during the night. No one knew who it was or at least no one admitted to arriving and pitching their tent during the night. The deal was that if you took advantage of the free camping you had to eat at the albergue. However the matter was soon forgotten. Setting off it was only a kilometre to the village of Olveiroa. At the entrance to the village there were bells ringing and a sombre crowd. There was a funeral. I followed the group past many ‘horreos‘ to a small church. 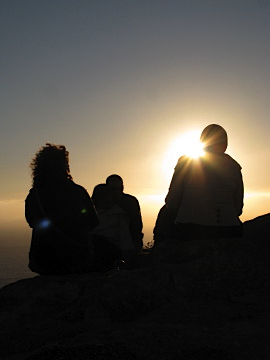 People sat around chatting as the sun rose in the sky. 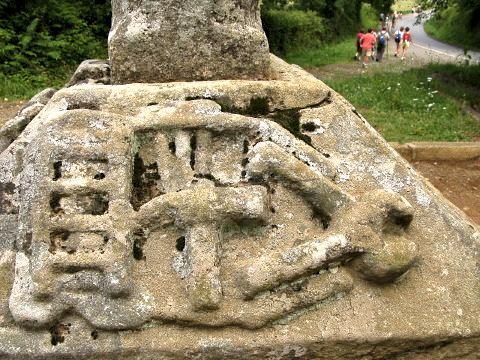 The church was simple and surrounded by ornately designed ‘stacked’ graves. I paused to give respect as the silent crowd mumbled to each other about their loss. There was a small cafe in the village where I bumped into Rory and Matt. More coffee and as Rory tucked into a huge pilchard, I ordered one too. They were coated in olive oil and barbecued over a hot charcoal fire and were delicious! 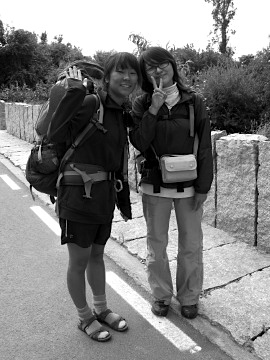 A couple of girls from South Korea were there and laughing and smiling they posed for a photograph. The Way continued steadily upwards from the village. Now, suddenly, I could smell the sea. The sky was getting larger and the air had a salty freshness that is always present as one approaches the coast anywhere in the World. On the hill tops there were many wind turbines humming in the breeze. Some say they are noisy but to me it was a silent hum somehow in tune with nature. Still, were they good or bad? Through calm woods there were occasional fields with horses standing head to tail as they swished the flies from each other’s face. It was calm. 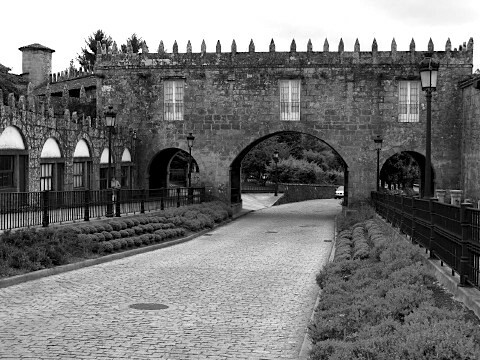 The Way was composed of large rough stones but it was walkable and very peaceful. 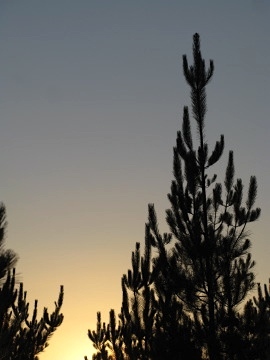 The wind whispered through pine trees as the path continued to rise. At the summit was a small village called Hospital. There were many villages called Hospital on the Way as they had been refuges or hospitals for pilgrims for hundreds of years. I stopped at a cafe there that had a view to a strange looking building on the hill side. It was an iron foundry and was completely out of place. Industrial steam emanated from its roof and blank walls sat amongst the vegetation as a mark to the human invasion of nature. It was not pretty. I sat with Rory and Matt and had some lunch. Soon after we continued and entered a heathland of low plants and pines. It was almost surreal. The fresh wind from the East played in the trees as the heat of the day increased. 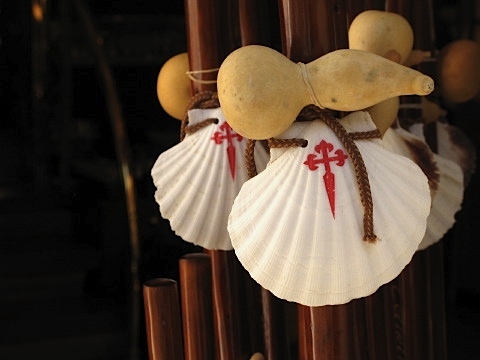 On some trees were articles of clothing placed there by previous pilgrims. Rory found a striped t-shirt that he thought was quite fashionable and untied it from the tree before putting it on! 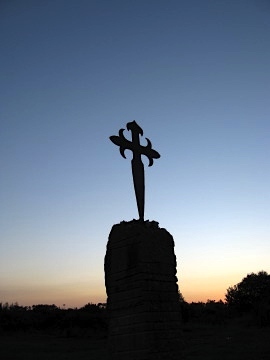 Soon was the Ermita de las Nieves. An old pilgrim rest stop, there was an alter outside the building where pilgrims had left pictures and other items in memory of a loss or a loved one. There was a large cross sitting in the middle of a large field. The atmosphere was unique – somewhere between isolation and calm. Many rocky kilometres followed across the barren hills before the descent to the town of Ceé. Dropping down I passed the Cross of the Armada. 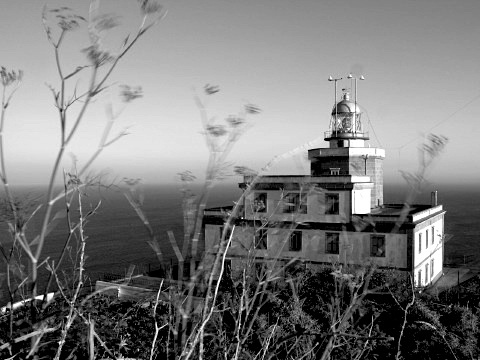 Singularly it was isolated on the hill top above the town and commemorated Spain’s naval history. Ceé was a quiet but a fairly large town nestled in a horseshoe shaped bay. 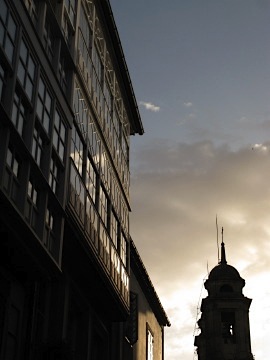 The late afternoon light by now was bringing out the contrasts and the colours of the buildings. There were bright pink flowers on large bushes as the small fishing boats bobbed up and down in the bay. Rory and Matt went off to find an albergue but I was fascinated and wanted to head to another albergue that lay past the town on top of a hill. I found it shortly after a steep climb from the town. It was clean and warm and welcoming in the Albergue of San Roque. 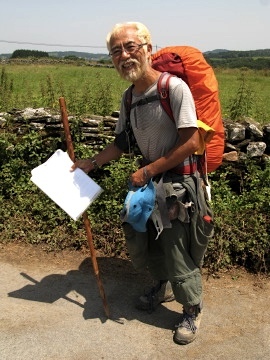 There was a volunteer at the albergue and only one other pilgrim. I was made welcome and asked to stay for a meal. I needed to return to Ceé to purchase another memory card for the camera and gratefully accepted the offer later in the evening when I returned. The light was fantastic and in Ceé the old church was wonderful. The sun was warm and strong and I found the memory card to allow me to take more photographs tomorrow when I would arrive in Finisterre! Returning to the albergue in San Roque, I had some dinner with the albergue volunteer and the only other guest – an American from New York. Soon they retired and I sat in the early dark outside listening to the sounds of night setting in. There was distant music from a festival below in Ceé. I was too tired to venture out again. Instead the sweet scent of the large flowers from the garden filled me with peace and ushered me to an early bed. Tomorrow would be the final day of walking after almost ten weeks. It was still dark and it was still raining. 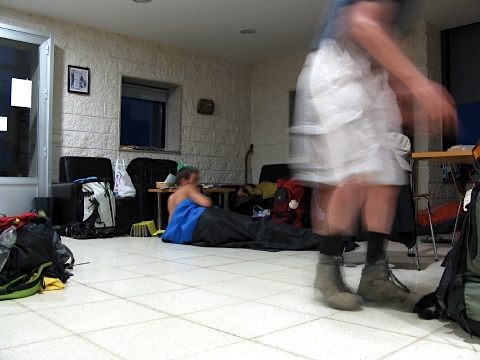 There was a lot of activity at about 5:30am inside the albergue as the keen walkers were getting ready to leave. 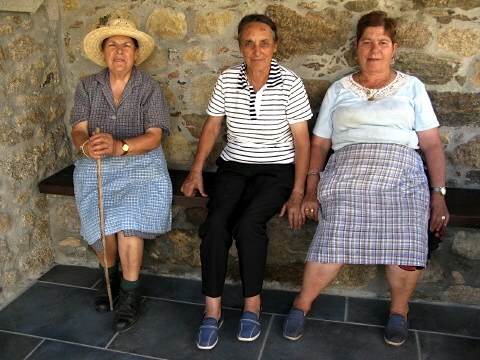 I had a couple of fresh peaches and a coffee with the others who had been forced to spend the night on the floor of the albergue due to the lack of beds. Just as it was getting light, probably about 6:30am (I had taken my watch off weeks ago as there seemed no need for a watch on the timeless Camino! ), I set off in the light rain. The poncho came into its own again and helped to fend off the damp chill air. 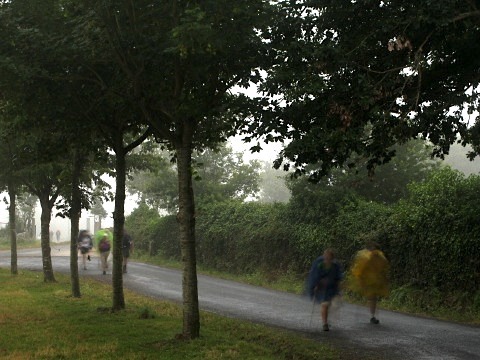 The Way climbed past a small church and into dense woodland which gave some shelter from the drizzle. The smell of moist leaves and mosses was very strong. Some time later the Way came to a road and followed it’s edge for some time. 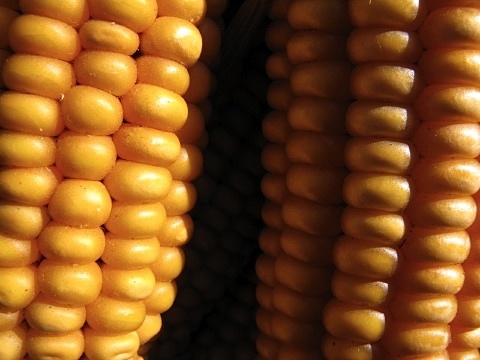 There were clearings in the forest where local farmers grew maize and dairy cows grazed. There were a few small villages but no people around. After about eight kilometres, at the small village of Pena, I was relieved to see a sign for a cafe. Many other walkers were there eating croissants and drinking hot milky coffee. It was a relaxing place and it was two coffees later before I could persuade myself to continue. At least by now the rain had stopped and the cloud was breaking up. The Way continued by the road then headed off to the right into more open maize fields and forest stretches. By the fields there were quite a few ‘Horreos’ (stone structures used to store grain). 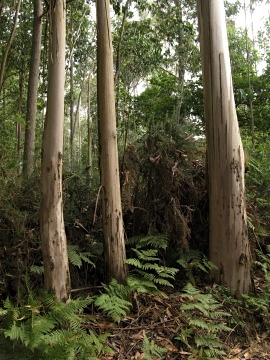 The forest was a native and Eucalyptus mix and in places was quite spectacular. I constantly compared this environment to the dry parched lands of only a few days ago. It was cool and pleasant walking. It was lunch time by the time I got to the small village of Santa Marina. There I was told that there was a bar and restaurant on the main road. Being hungry, it was a relief to hear that news. I had some sardines in olive oil but no bread. Asking inside, the barman pointed me to another house along the road. ‘That is where the baker lives’ he said. I knocked on a garage door and was invited in through the house to a large kitchen behind. Three ladies were hard at work. One was mixing bread doe in a large mixer, another stirring a huge pot of Galician vegetable soup, and a third preparing to carve the largest joint of meat I have ever seen. I asked for some bread and they happily weighed a huge loaf of bread before selling it to me for €0.50. Delighted with the purchase I returned to the bar and tore into the fresh bread and tin of sardines. Gennaro and Richardo arrived and ordered a sandwich. Soon after Matt and Rory (who I first met in Triacastela) arrived. We all sat chatting and having a beer under the shade of a huge tree outside the bar. It was great to watch the many other walkers come and go. Some stopped while some continued on past. 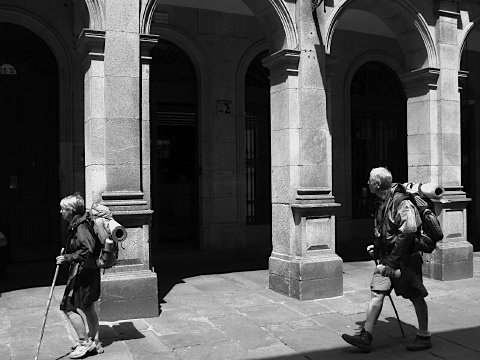 There was a couple with umbrellas wheeling their packs behind them, and another couple returning to Santiago de Compostela with their donkey. By now it was getting very hot. The last remaining cloud had disappeared and the contrast with the chill wet of the morning was marked. I continued on with Rory and Matt. They were both suffering from leg and foot problems so we stopped every hour in order that they could rest. The land opened up again as we left the forest behind. It was mainly rolling fields as we reached the top of a long slow climb. The views down to a reservoir in the valley below and to the mountains in the distance were superb. 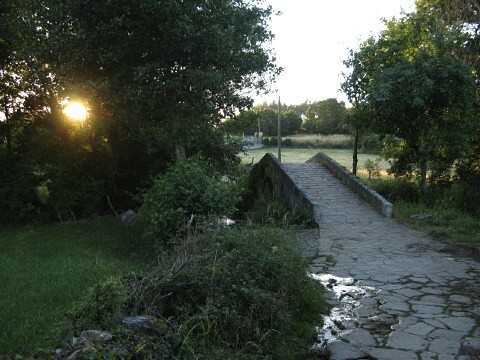 After another long pause in a field for a siesta near Lago, it was a further six kilometres to Puente Olveiroa. 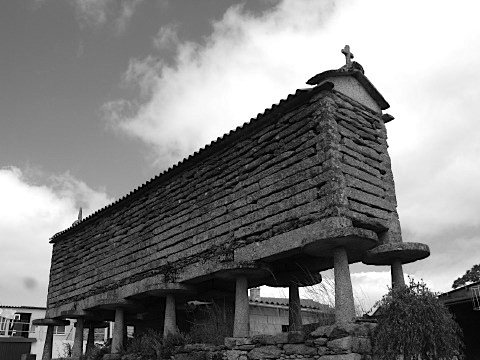 Just after the bridge in Puente Olveiroa there was a simple A-frame building – a cafe and outdoor sports centre. Free camping was offered for pilgrims too so this would be the stop for the night! Many other pilgrims had the same idea, and we all ordered the Pilgrim Menu together that night. It was a substantial meal and great fun. We swapped stories about our adventures as the food and wine kept flowing. It was very late when we all finally retired to the tents provided by the albergue. It was such a mild warm night that I happily laid down the sleeping mat and crawled into the sleeping bag and bivi bag under the stars. This is life as it should be! It was good to awake at the final destination! I had slept so well. The guest house unfortunately advised me in the morning that she had double booked and would I mind moving to a friend of hers just round the corner? Not a problem. I packed up as quickly as usual. I thought nothing of the today’s walk. It was only 150m to the next albergue!! The shortest day’s walk for a long time! The new guest house was equally friendly and the owner, Esvina, was a wonderfully kind lady. She apologised for her friend moving me into her own home. 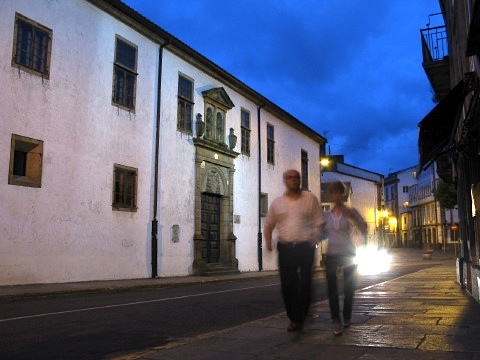 It seemed like there are many in Santiago de Compostela who are used to the constant stream of pilgrims and together they help every pilgrim find a warm bed for the night. A wonderful spirit of community exists in this town. 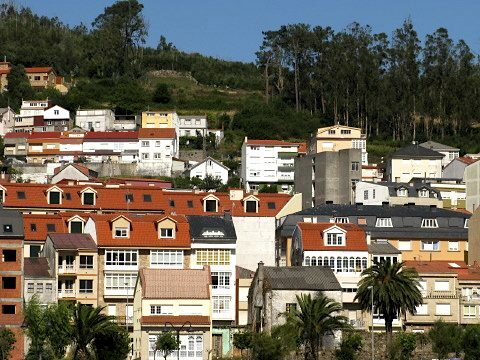 I made my arrangements to stay for two more nights as I would be exploring the town before setting of for Finisterre. It was great to have a base for at least a couple of days and hoped the inertia would not be too difficult to overcome. Without a rucksack I felt so light as I wandered around the ancient city. I saw a few familiar faces and chatted as I went. 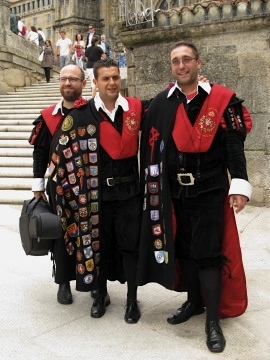 I met up again with Alain who had just obtained his Compostela. He was relieved, and proud of his achievement. Everyone was ecstatic at arriving at their final destination. The sheer luxury of being in one place for the next two days was so relaxing and stabilising. I still had to think of the final stage of the journey to Finisterre. I found a good internet cafe and checked the flights to Edinburgh. There was no rush. Tomorrow I would summon the courage to book a flight back to ‘my reality’. There was a special spirit in the city. 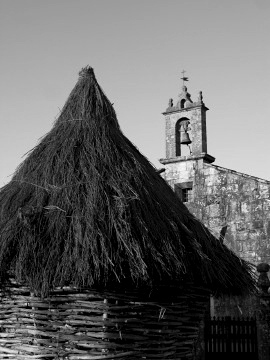 With so many pilgrims, it had an atmosphere of the original form of tourism. The basic coming and going of people on their way to somewhere else having come from so far. Everyone was friendly and accepting of the reasons why the pilgrims were there. I started queueing to visit the Cathedral and the tomb of the Apostle of Saint James. There were too many people! I would try again another day. Instead I went to the Pilgrim Mass. There were hundreds of people sitting and standing in every part of the grand Cathedral. 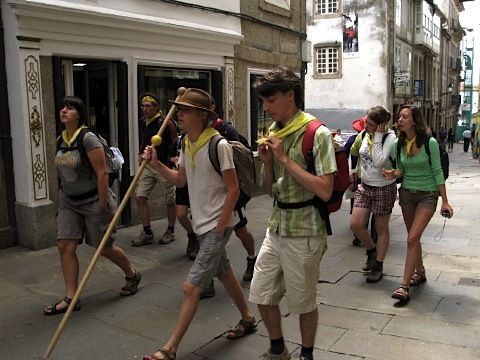 The Mass was to welcome the pilgrims to Santiago de Compostela, though most present were motorised pilgrims. It was a lot more special knowing that I had actually walked there. Standing beside me was a familiar face. We looked at each other for a moment then could not believe it. It was Gérald who I had last seen in Varaire many weeks ago! It was great to see each other again. We were told to be quiet by a church warder! He had only just arrived and did not look so fit and healthy as he did then. He had had a difficult journey. We met later and had a great lunch together with some of his friends. 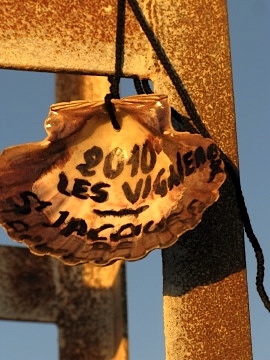 Tomorrow he would return to Hagetmau in Landes, France. 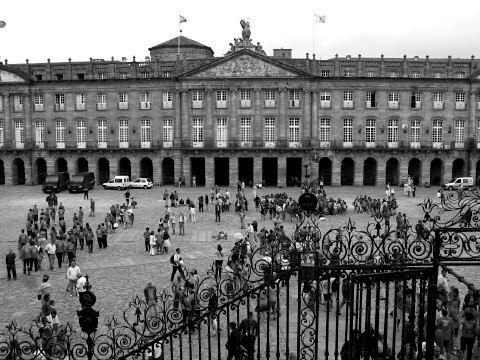 That evening there was a crowd in The Plaza del Obradoiro. Two buskers were singing in the archways of the square. It was no busking experience. They were two of the best opera singers I have heard and they perfectly complemented the grand square and the Cathedral. It was wonderful to watch their performance. The rest of the evening was spent absorbing the atmosphere of the town. The sun eventually set and the emotional tiredness overcame me. Last night had been a night of celebration. Tonight would be an early night. There was much more to explore tomorrow. The next day I wandered around this magnificent city. 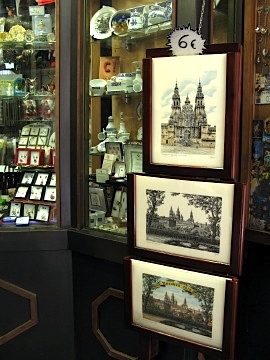 The soaring spires of the many churches, the small shops and wonderful restaurants, the ancient history of the place. Of course the camera was becoming worn out with all the photographs I was taking. I sampled some local dishes at the restaurant where I had had the scallop meal with Tunde, Eva and Hector the day before. Later, thinking of the view that there must be of the fine sky line, I found a huge park that overlooked the town. There were some great panoramas of the soaring spites from the park. In the evening after dinner, time was spent watching the assembly and testing of the stage and sound system for the Ben Harper concert the following evening. 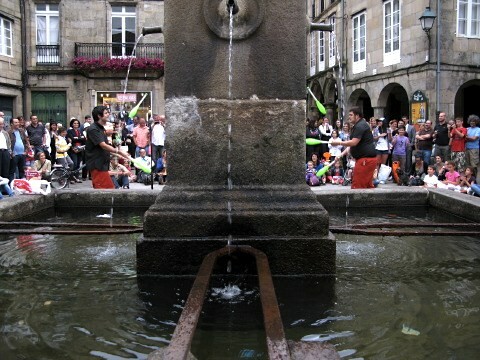 The Galician tourist authority had made great efforts to promote the Holy Year, Xacobeo 2010, attracting many great musicians. I met up again with Ray and others in the square by the cathedral and we chatted about out adventures and our satisfaction in arriving at the goal. 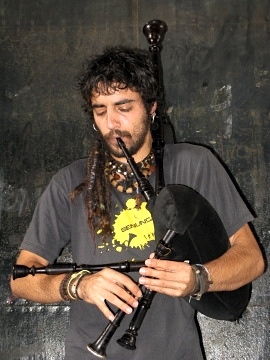 There were many buskers around, and under an archway, a continuous stream of Galician pipers played. The music was wonderful and reminded of my home in Scotland. Next day was a late rise. 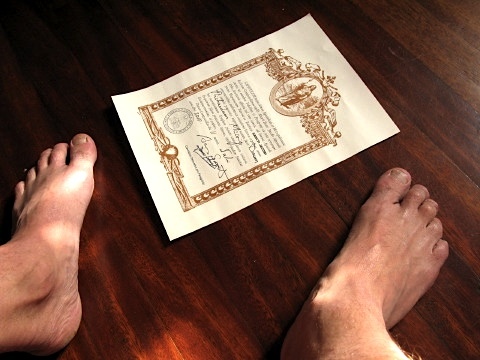 After all I was here at my destination, and after 65 days of dawn rises and of walking each day I deserved a long lie! Later I ventured further and explored more of the town. 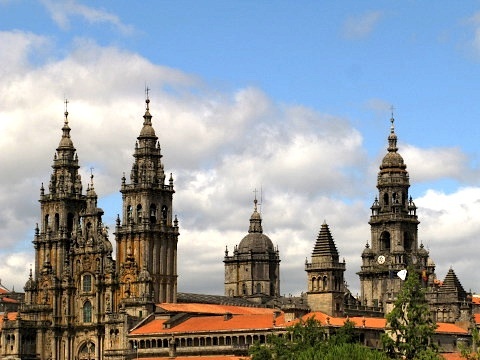 I finally booked some flights back to Edinburgh at a great internet cafe and with business concluded could finally relax and enjoy the last afternoon in Santiago de Compostela. I tried once more to visit the cathedral however again the queue was enormous. 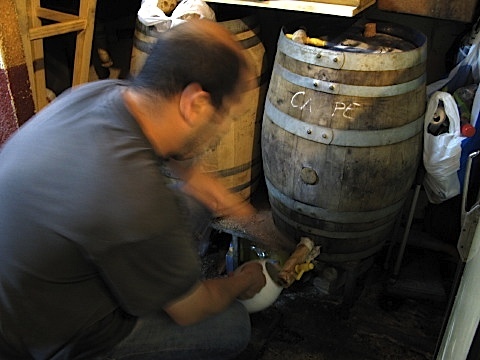 When I got back from Finisterre I would try once again. I met up with Lorenzo, Luigi and the two Serinas again. It was good to see them! I talked about where I was staying and led them to my accommodation. They booked in for the night. That night my mind thought of walking once more. After three days of rest, I was a little uncertain of continuing but felt I had to complete the distance to Finisterre. It would only be a three day walk. What was three more days after sixty-five already completed? Esvina at the albergue could not stop thanking me for bringing the others to her house the previous night and promised me a free night and home cooked meal on my return from Finisterre. Happy with the kind offer, it was a contented early night. I slept well under the open sky. Waking at about 6am as it got light, the fog still covered me like a blanket. The fog was dense and the air heavy with moisture. I packed up and went back to the road unsure of exactly where I was. The fog was so thick that it was disorientating. 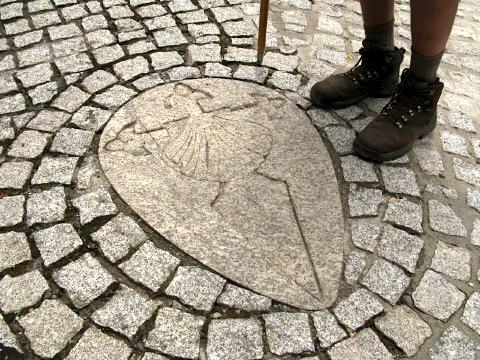 Luckily I had been carrying a compass ever since Le Puy en Velay and finally it was time to use it. 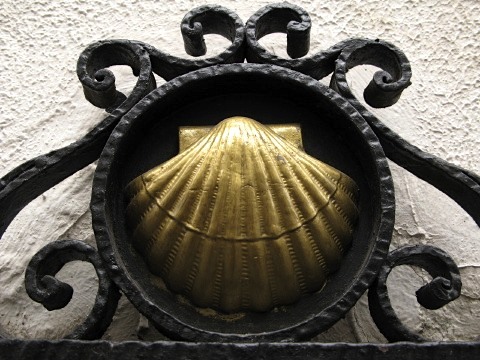 I knew I was south of the Camino, and I knew from where I had arrived the previous night. The road headed west so I set off. It was a bit disturbing after a few kilometres when the road changed direction radically and headed South. It was so confusing in the fog. There were no cars to wave down and no people to ask for directions. After a few sorties up some side roads I found a bus shelter. It was always a good sign. There must be a town nearby. 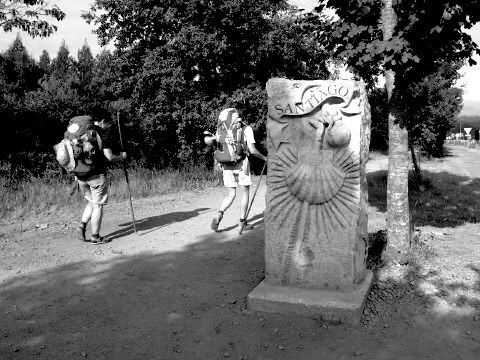 Continuing along the road there was a junction with a sign post to Arzua which I knew was on the Camino. Unfortunately it was 8km to Arzua. I was really quite a way off track! The walk along the road was wonderful through tall eucalyptus forest. The mist came and went amongst the trees and there was total silence. 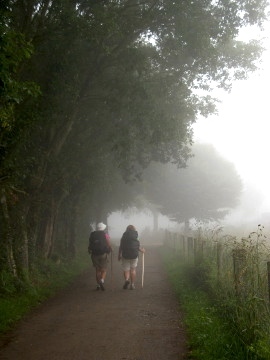 It was comforting that I was finally heading back to the Camino. Last night had been an adventure but it was time to regain the goal. Entering the village there was the strange sight of a man leading a sheep, a cow and a horse along the middle of the deserted street. 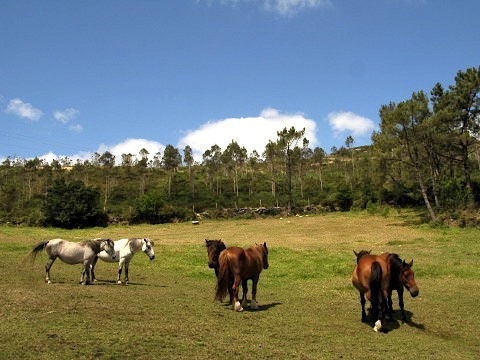 Incessant barking of chained up dogs surrounded me – a feature of the North of Spain that I found disturbing. Finally in Arzua there was a good cafe to stock up on coffee and pastries. By now the dense fog was starting to lift and on leaving the cafe the sky was blue. The old town was small and interesting. It would have been good to stay there in a warm bed last night! Sleeping outside had been very comfortable none the less. Still I was excited. 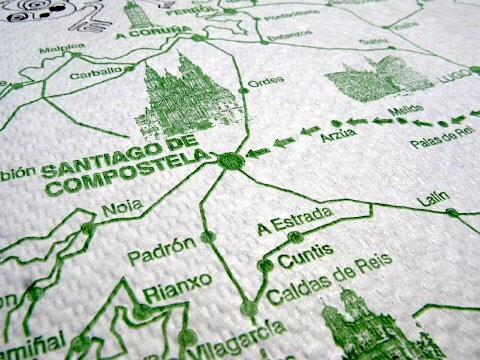 Tomorrow I would complete the journey to Santiago de Compostela. After over 1500km kilometres, the goal was in sight. It was a mammoth walk and soon it would end. There was happiness and sadness in equal measure. A feeling of achievement with the feeling of regret that it would soon be over. I was however prepared for it. Now the distance to go was marked every kilometre. A reminder that the journey was coming to an end. 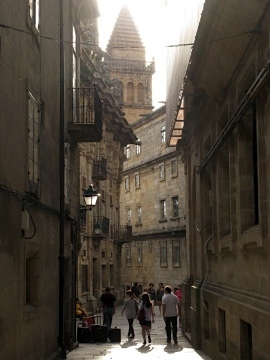 In As Calzadas there was a smart modern cafe playing soft jazz and charging a fortune for a coffee. I stopped and spoke to a man from Finland and his Polish walking companion. They talked frantically all the time and often both at the same time. Eventually I had to leave before my inner peace was disturbed! It was not long before Santa Irene. Rory and Nicholas who I had first met in Triacastela had decided to stop there. I wanted to do a few more kilometres. 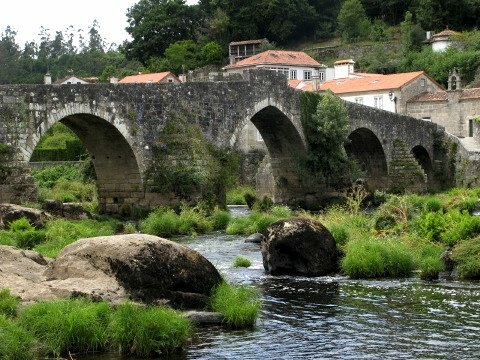 Soon I arrived in Pedrouzo, a single street town on the main road to Santiago de Compostela. Here there were many albergues and hotels. It was a bit touristy with designer cafes and restaurants along the street. The municipal albergue was full. I was told that the sports centre had mattresses on the floor for €3. When I got there there was a loud crowd of screaming and laughing school children in the vast sports hall. In contrast with the peace of last night, it was too much for me! I back tracked and booked into a private albergue in town. Vincent was there and it was good to meet up again! 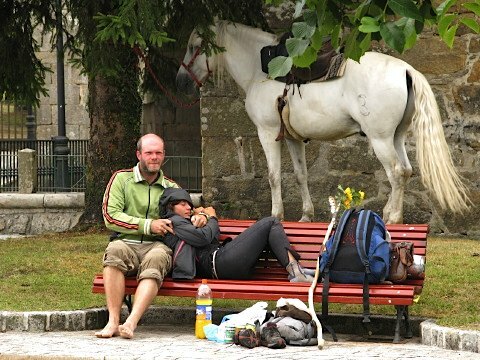 He had left his horse Cameron in a field nearby and was meeting his wife tomorrow in Santiago. They would then drive back home – the pilgrimage for man and beast completed. The albergue was comfortable and warm and it was wonderful to have a good bed after last night’s ‘bedroom in a field’. I took advantage and bedded down knowing that the goal was now so close, and that tomorrow would see it achieved. The morning was damp and humid after the huge storm last night. After breakfast I finally found the way out of town, down to the edge of the reservoir and across a narrow iron footbridge. Climbing upwards on a good wide path, the trees dripped their water as they shed the weight of the storm. 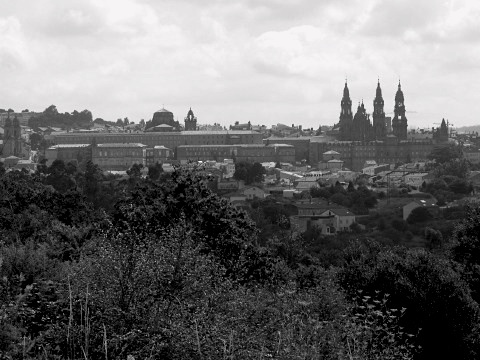 At the top of the climb was a road, the one that led to Santiago de Compostela. 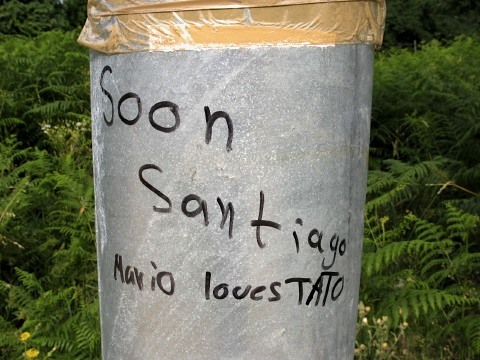 I was excited at the prospect of Santiago now being so close. After a few kilometres there was a small cafe by the road in the village of Gonzar with a very large coach parked outside. The cafe was full to brimming with people, and as soon as they had arrived the ‘tourist pilgrims’ disappeared. No doubt they would be in Santiago today. I still had three days of walking before I reached my goal by foot. I chatted briefly with the Norwegian couple I had met just before O Cebreiro and they too agreed that the Way was becoming too touristy. 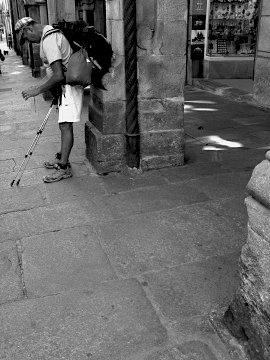 The Camino was indeed much busier. Some of the pilgrims from the cafe were travelling in groups and were loud in their progress. 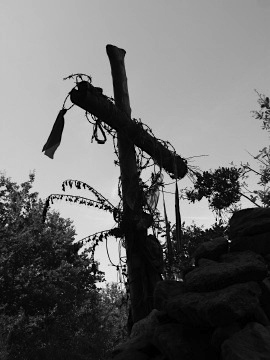 It was a huge contrast from only a few days ago at the Iron Cross where the Camino was serene, calm and meaningful. I was not so keen on this last stage of the walk. I preferred the solitude and silence of quiet reflection. 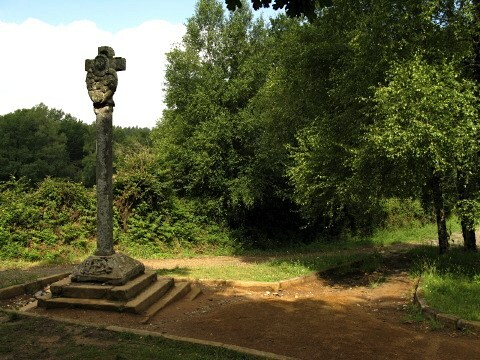 Outside the small village of Ligonde, there was an ancient cemetery that was once used to bury pilgrims who died along the Way. It had a surreal atmosphere and many stopped there in silent wonderment and thought at the dedication of pilgrims in Medieval times. Tall ancient trees stood around the central cross. Two very alive and elderly cyclists appeared and we spoke for a while. 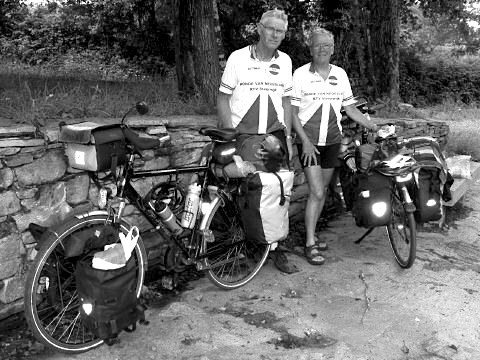 They had left their home town in the Netherlands many months ago and cycled to Santiago de Compostela. They were now on the return journey all the way back home. They were an inspiration! 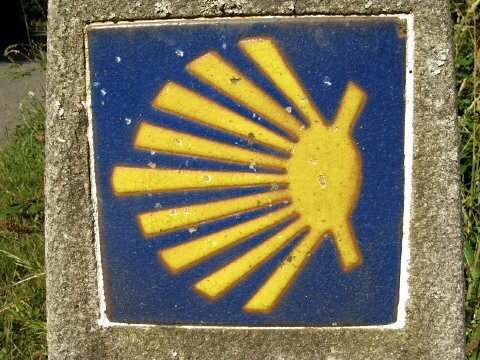 I then vowed to cycle the Camino one day! In Ligonde there was a small albergue and cafe. There were many familiar faces including the two Serenas from Italy. The owners had set up a stall giving out religious literature. I paused to talk and find out more. When the lady at the stall discovered that I was from Scotland she became very animated. It turned out that she had once visited Iona in Scotland and had been so moved by the island that she had also named her daughter Iona. Iona was a smiling happy girl and it was great to meet them both. There were many walkers milling around the small albergue. It was a delightful place. After putting a stamp in my Credencial I was invited to take a coffee before friendly shouts of ‘Buen Camino’ on departing! Soon I met Victor, a lawyer from Buenos Aires in Argentina. 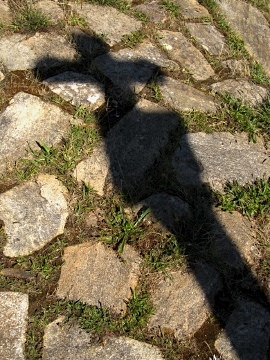 We walked together for a while as he explained his motives for walking the Camino. He had worked hard for many years and felt he needed a break, something different, and some time on his own. He was very happy in his life in Buenos Aires with his wife and two teenage children. He was equally happy it seemed to be having some well deserved time to himself away from his legal practice. 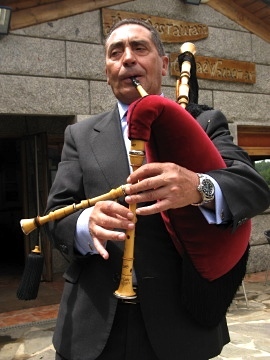 After coming across a Galician bag piper in As Lamelas, we continued on for another three kilometres to Palas de Rei. Victor would be stopping for the night as he had booked and payed the night’s accommodation in advance. We sat at a cafe for a while in Palas de Rei and had some lunch and a few beers. 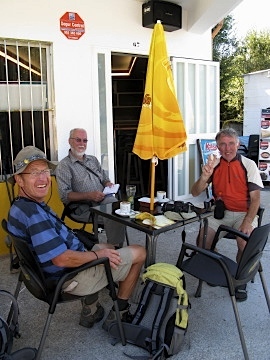 Rory and Nick from England turned up – I had first met them in Triacastela but they had taken the detour via Samos. I hadn’t seen them since then. We all sat sheltering from the heat of the mid-afternoon sun. Eventually I set off on my own. I was feeling fit and able to cover some more kilometres today. It was about 4pm and I never considered that it was time to stop. There was a hostel in Casanova – perhaps I would stop there. Casanova arrived and the hostel was full. I kept going. By now it was late afternoon but there was still no desire to stop walking and the feet were still fresh and behaving themselves. There were three Australian ladies in O Coto. They invited me for some dinner and we sat talking about the wonders of the Camino until the sun started to set. With heart-felt thanks for their hospitality I set off again, aiming to stay in Melide. The light was superb and I took a long time in reaching the town having stopped so many times to talk to locals and to take photographs. I was thoroughly enjoying the walk today which was fast becoming a very long walk! In Melide I finally found the albergue however it looked very uninviting. A large apartment block on the edge of town, it had been set up as a temporary albergue for the Saint James Holy Year. I had no desire to stop and still felt I could walk many more kilometres. It had been a while since I had walked at night and the experience in the calm of the warm evening was sublime. I walked and walked until at about 2am until I suddenly felt very tired. Passing through dark forests, there were many sounds of the night and rustling in the undergrowth. Peculiarly I felt very relaxed and happy. There were no villages, and I considered that I may have lost the way. 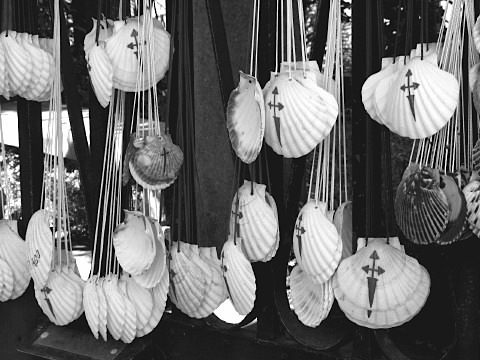 There were no scallop shells nor way markers. In a field I put down my sleeping mat, crawled into the sleeping bag, and then into the bivi bag. I was totally exhausted. I had walked about 43 kilometres today. As I looked up to the incredible sky and its millions of stars, the mist slowly drifted up and over the field covering me like an extra blanket. This was the Camino as it should be. 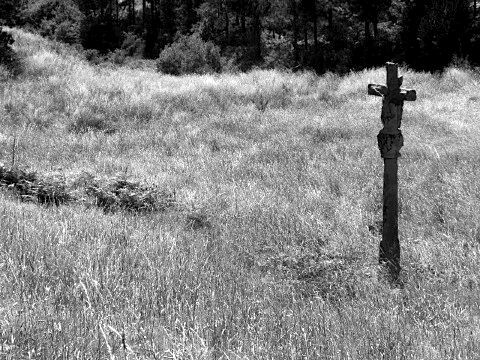 I was somewhere off the Camino near Castaneda but not sure where. I was not bothered. I fell quickly into a deep and relaxing sleep. TIP: Its great to walk at night. Many do. The change from the heat is refreshing. 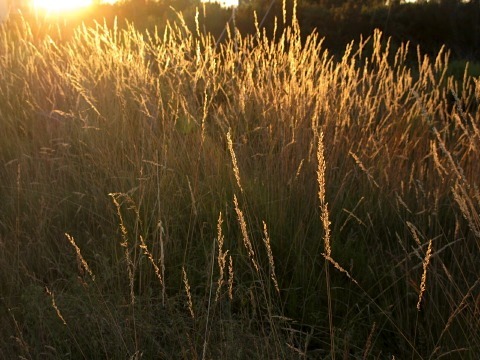 The wildlife in the late afternoon is surprising. Worth trying a few times along the Camino! 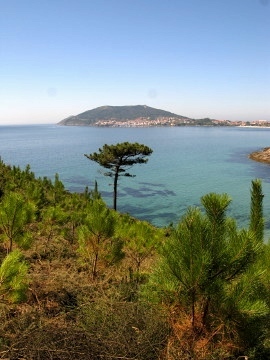 Unlike O Cebreiro, Barbadelo was on the edge of a low valley. On waking, the day outside looked miserable. It was raining and there was a lot of cloud and mist. It was cold and damp. There was nowhere to get breakfast so I heated some coffee in the utensil-free kitchen using my own pots. 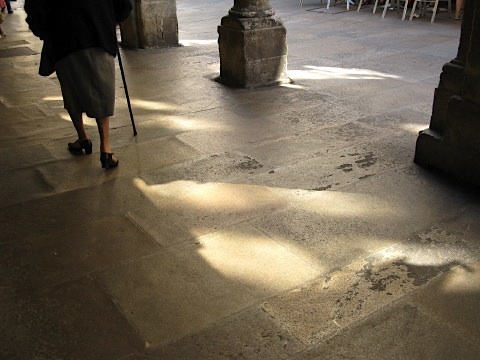 As I sat on the steps of the albergue many walkers past in the murky morning light. I saw Valentin and his horse Cameron go by. Setting off, the atmosphere was one of mystery as the mist swirled around. The Way continued through woodland on small pathways and as the sun tried to penetrate the mist, it was the light that provided the mystery. After a few kilometres there was a cafe where I had some good coffee. Many were there warming up. I continued in the mist and was fascinated with the dripping trees and erie feeling to the day. What followed was a succession of small villages. 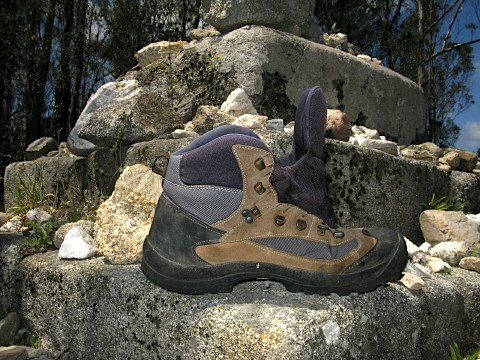 The Camino was busier now and I discovered that many more people had started their walk in Sarria. As a result there were many more cafes and restaurants starting to appear along the route. 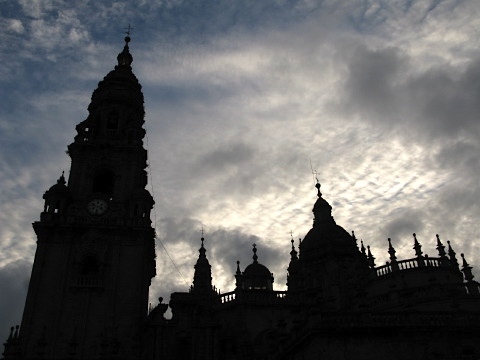 As I walked I was filled with anticipation of arriving in Santiago de Compostela. It had been many weeks since setting off from Le Puy-en-Velay in France, and the prospect of completing the walk was now very real. I spent a lot of time thinking about all the people and places I had encountered along the way. 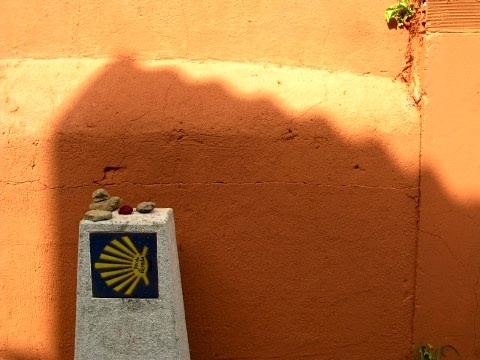 I thought of the physical difficulties in the heat of France and the mesmerising ancient monuments, churches and visions of history along the Camino. 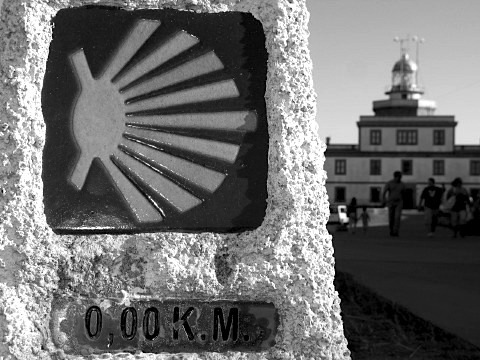 Today I would reach a marker that would indicate that it was only 100km to Santiago de Compostela. There was a feeling of excitement and of calm. It wasn’t long before I came across the 100km way marker. 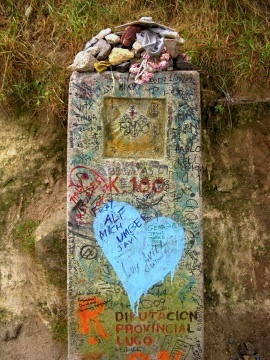 It was a little disappointing as it was covered in inscriptions and messages from the many pilgrims that had passed before. It was more like graffiti. I took a photograph anyway. 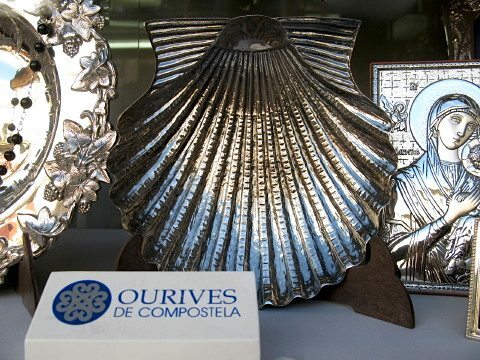 Continuing, I passed a few small shops that sold souvenirs from the Camino. 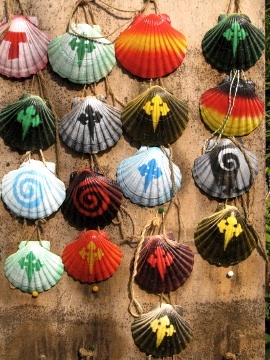 There were tee shirts, scallop shells and bags in many colours. 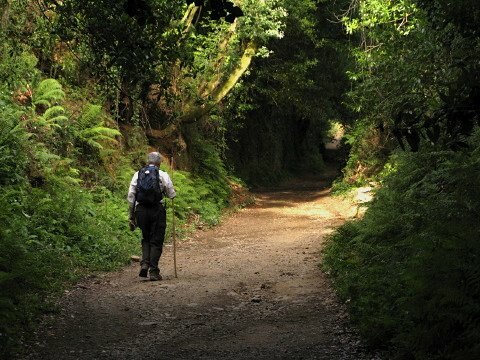 It was a little sad that the Camino had become a commercialised but no doubt it was a useful source of income for the people living in the small villages. Apart from agriculture, there was little industry in the area. As the morning went on the mist burnt off with the help of the sun. Before long it was all blue sky with the prospect of another hot day ahead. I stopped in Moutras at a small albergue. 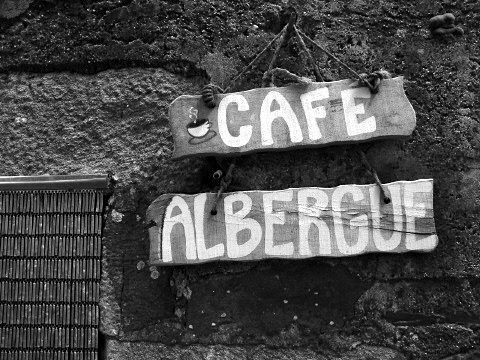 The albergue was new and not yet open but did sell cold drinks at the front door. 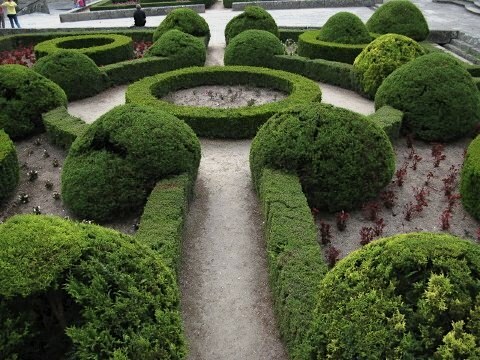 I put my one Euro coin in a box, took a drink and wandered inside. The owners were from Scotland and there were others hurrying to clean up the albergue for the arrival of Galician Television later in the afternoon. The albergue would open soon to walkers and the local news was to cover it. After Moutras, I caught up with a familiar face. Takumi, from Japan, was walking as fast as usual and overtook me before pausing realising he knew me. We had first met many weeks before in Estaing in France, and many times since then. True to form he had his notebook in hand and was noting things down as he walked. It was good to see him again! We walked into Portomarin together. Portomarin was a medium sized town on the edge of a large lake reservoir. It had been built as a new town when the reservoir was constructed in the 60s. The original village now deep below the waters of the reservoir. 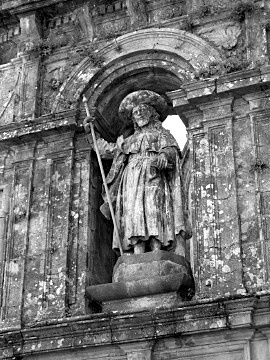 The original Romanesque church of San Nicolas had been dismantled and reassembled up the hill above the reservoir. It was a wonderful setting and the town itself welcoming. It seemed historic even though it was a relatively new construction. The municipal albergue was basic and comfortable. I checked in before exploring the town. There were rumbles of thunder in the distance. 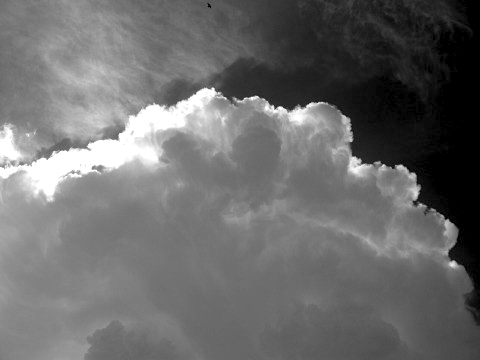 It was not long before a huge storm rolled in over the town. It was a ferocious storm. I had not seen such a huge storm for many years. The rain was torrential and the streets ran like a river. 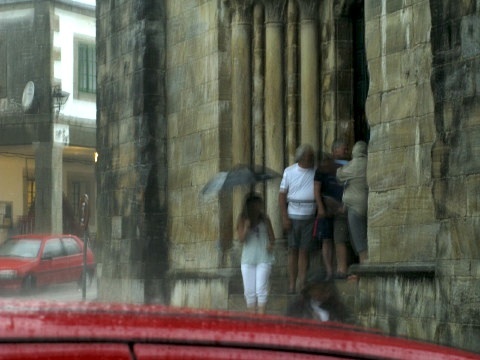 It continued for some time as everyone sheltered in the cafes, restaurants and covered streets. The lights frequently went out in all the establishments in the town. Sometimes many minutes passed before the town’s electricity was restored only to black out again at the sound of another thunder clap. It was exciting and atmospheric! What a storm! 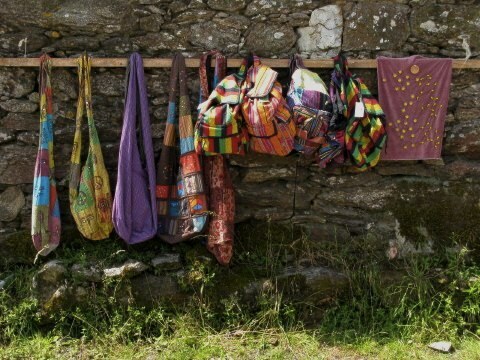 TIP: Its a good idea to bring your own cooking kit and gas stove as many albergues in Galicia do not have facilities. If you are eating the Pilgrim Meal however its not required. Its good however to brew up a cup of tea whenever you want! After dinner I had an early night while listening to the thunder crashing outside. The room lit up with lightening. It disturbed even the deepest of snorers. Ever since childhood camping one night in a tent during a storm, there has been something wonderful about tucking up warm in bed as a storm rages outside.